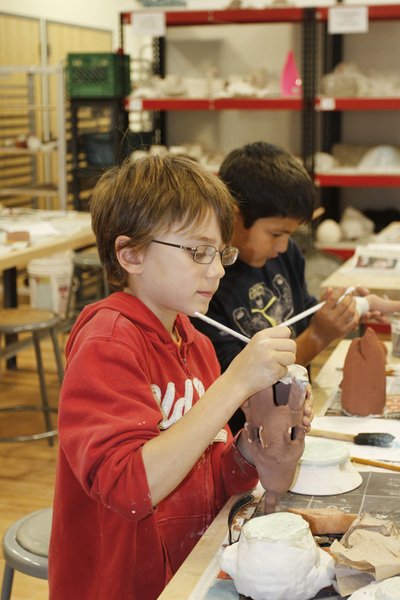 London Clay Art Centre offers classes for adults, teens and children. Share the excitement of learning pottery in a state-of-the-art facility with experienced instructors, eager to work with participants at all skill levels. ​​Toolkit Required: $13.27 + 1.73 hst = $15.00. New students must purchase their own tools. Toolkits available for purchase at the first class. Toolkit Required: $13.27 + 1.73 HST = $15.00 New students must purchase their own tools. Toolkits available for purchase at the first class. ​Toolkit Required: $13.27 + 1.73 HST = $15.00 New students must purchase their own tools. Glazed & Confused? 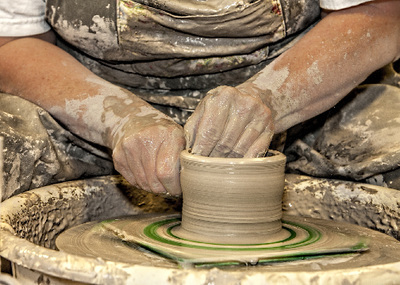 This course is designed to give a range of options with which to decorate pottery. Whether you wish to pursue a sense of narrative or create beautiful patterns, this course will unveil a host of techniques to accomplish this. Everything from carving, slip decorating techniques, glaze combinations, over-glaze brushwork, and lustre ware will be explored. Each class will be comprised of demonstration and hands on learning. ​Here is your opportunity to try your hand at creating your favourite Pinterest finds! Bring to class images from your pinboard and learn basic handbuilding techniques including pinching, coiling, and slab construction with surface decoration including glazing to complete your piece. Skill Level: All Levels. Spring has sprung, and so are your garden sprouts from last year! Oh dear, what did I plant? Sound familiar? In this workshop, you will create one of a kind garden stakes. This handbuilding class, will encourage you to use stamps, engraving tools, slips and more to decorate and customize your stakes. Your parsley, sage, rosemary and thyme will be singing creative praises. ​In this leadership program, teens will work with a LCAC artist/instructor and their peers to organize an exhibition of their own works created during the course. Teens will learn techniques in ceramic arts, as well as gaining knowledge in writing artist statements, curating an exhibition and skill-sharing. A public ceremony of their works will be celebrated on the last day of the course. For the older student who competently uses basic pottery techniques and is ready to combine them in creative new projects. Extra wheel time will be offered, along with more advanced projects and exposure to new forms of pot decoration. As students are expected to work more independently, they will be invited to bring in images to try. Materials included. Skill Level: At least 3 previous pottery sessions and/or camps, and be willing to attempt independent work. Bond while you play! No matter your level of experience, this class will be fun for both parent and child. With each working at their own level we will make pieces using hand-building techniques including pinching, coiling and slab construction, and also try out the potter’s wheel. It’s a chance for family members to connect over clay while creating together. Expect to bring home lots of treasures… times two! In this spring-oriented workshop, participants will work together to create decorative birdhouses, suitable for outdoors or indoors. Participants will choose between creating smaller, individual birdhouses, or work together (ie. adult/child) to create one larger one. After decorating the projects using applique and/or carving, clay slip is added for colour. If time permits, there may even be time to sculpt a birdie or two! Although this project is suitable for all ages, children below the age of 9 will likely require support from their adult in constructing the bird house. In this brand new workshop, participants will work together to create a shallow, bowl-shaped structure which will serve as a decorative “garden”, suitable for either indoor or outdoor use. The remainder of the workshop will be used to create the pieces to go into this garden. You will be encouraged to choose between gnomes or fairies, a pinch pot pond, tiny fairy/gnome houses, toadstools, snails, turtles, frogs, etc. Bring your imagination and get ready to “work small”. Once the pieces are fired, you will be able to add dirt or sand to your garden, plant moss or creepers, and position your small creations. Presto! A magical garden! We do not offer Gift Certificates for classes. However, if you would like to purchase a class as a gift, please click on the Gift Option field under your choice of class. We will email you a customized, high-resolution LCAC card ready to print and present to your recipient. Please click here to review our Student Handbook. This handbook will provide necessary class information to ensure an optimal learning experience. 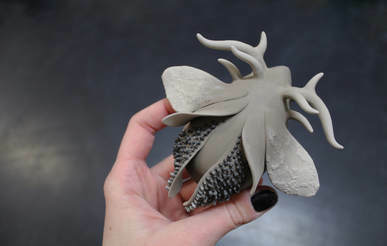 ​The London Clay Art Centre strives to make the classes accessible and inclusive for all participants. Please advise of any requests for accommodations at the time of registration. Review the classes below, and choose the class or classes you would like to take. Click the Add to Cart! button to choose a class. (You can remove it later if you change your mind or make a mistake. You will be directed to Paypal's secure website, where you can set up a Paypal account in a few easy steps. You will enter your Visa or Mastercard number and expiration date. Paypal will notify and send your payment directly to the London Potters Guild. If you have any trouble with online registration, contact the program coordinator. ​The London Clay Art Centre reserves the right to cancel classes. Please review our Refund Policy for more information. 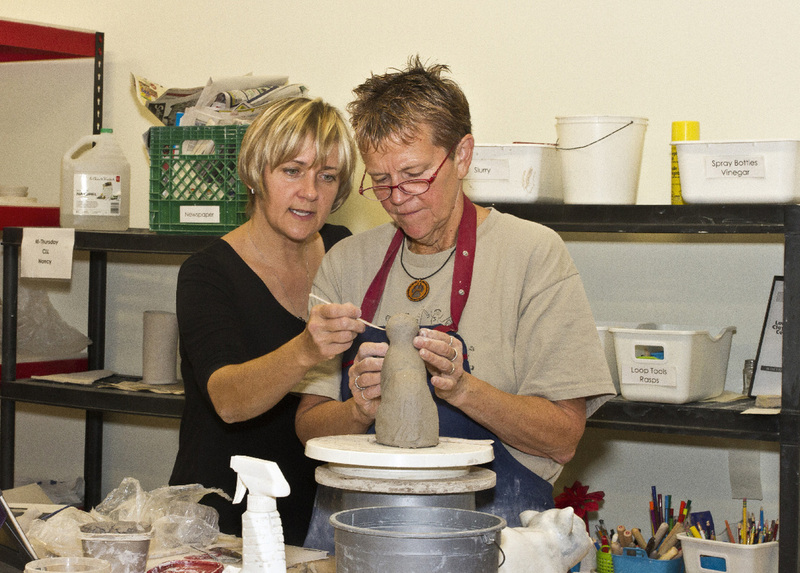 ​London Clay Art Centre offers 4 class sessions during the year. Sessions are usually between 8 and 10 weeks in length. Registration for each session begins one month before start time. A full refund is available for withdrawals occurring two weeks prior to class/workshop start. A full refund will be issued if a class/workshop is cancelled. A 50% refund will be issued for class/workshop withdrawals within two weeks before a class starting. No refunds will be issued after the class/workshop begins. Missed classes/workshops are not refunded and make-up classes/workshops are not available. We regret that we cannot fire pottery that has been made outside of classes at the LCAC. Pottery made in a pottery class at the LCAC must be fired within the scheduled period of that class. Any leftover clay from a class can be used in your next class or donated to our children’s classes.